The man and his wife had stopped at a gas station where he was detained. 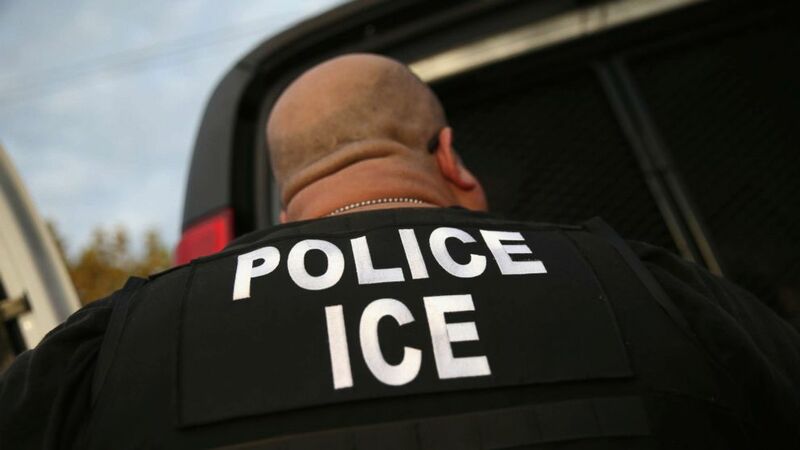 A man driving his pregnant wife to a hospital for delivery of their baby was detained and taken into custody by immigration agents, according to the couple's lawyer and a news report. Joel Arrona-Lara, 36, was taken into custody when he and his wife stopped at a gas station Wednesday in San Bernardino, California, his wife, Maria del Carmen Venegas, told Univision in Spanish. They had been on the way to the hospital for a scheduled C-section. ICE said in an initial statement Saturday that Arrona-Lara is an undocumented immigrant now in custody pending removal proceedings. Later, the Immigration and Customs Enforcement Agency issued an updated statement saying he is wanted in Mexico on homicide charges. "Mr. Arrona-Lara was brought to ICE’s attention due to an outstanding warrant issued for his arrest in Mexico on homicide charges," the agency statement said. Arrona-Lara’s legal defense team told ABC News the allegations of a warrant in Mexico are unconfirmed and that they will seek bail for him as he has no criminal record in the U.S.
(Philip A. Dwyer/Bellingham Herald/MCT/Getty Images, FILE) U.S. Immigration and Customs Enforcement agents leave the Yamato Engine Specialist plant in Bellingham, Washington, after raiding the plant for illegal immigrants, Feb. 24, 2009, FILE. "Mr. Arrona denies any criminal history in Mexico and he is unaware of any criminal proceedings in Mexico in which he is named as a defendant," the legal team said in a statement. "The family denies allegations as well. In the charging documents he is charged with being in the country without documents. He is not in extradition proceedings." His wife said the detention of her husband at the service station came as a shock. “[I asked], 'Why are you taking my husband?' and they said somebody had reported us. And I said, 'No, how is that possible?' I said we are hard workers,” Carmen Venegas told Univision in an interview after the birth of her child. “It is very hard because he was always there," the mother said. "And he would say everything will be OK and not to worry, that we will meet the baby. And for me to be alone it feels brutal." (John Moore/Getty Images) U.S. Immigration and Customs Enforcement (ICE), agents detain an immigrant on in Los Angeles, on Oct. 14, 2015. Prior to the updated statement from ICE on Saturday evening, attorney Emilio Amaya, speaking on behalf of the couple, told ABC News that Arrona-Lara was detained for not having identification on him. According to Amaya, witnesses at the gas station said ICE agents were there when Arrona-Lara's car pulled up and that the agents seemed to approach the family randomly. ICE said in its statement, “Mr. Arrona-Lara, a citizen of Mexico illegally residing in the United States, was taken into custody Wednesday by ICE Fugitive Operations Team officers in San Bernardino, Calif. Mr. Arrona-Lara is currently in ICE custody pending removal proceedings with the Executive Office for Immigration Review." 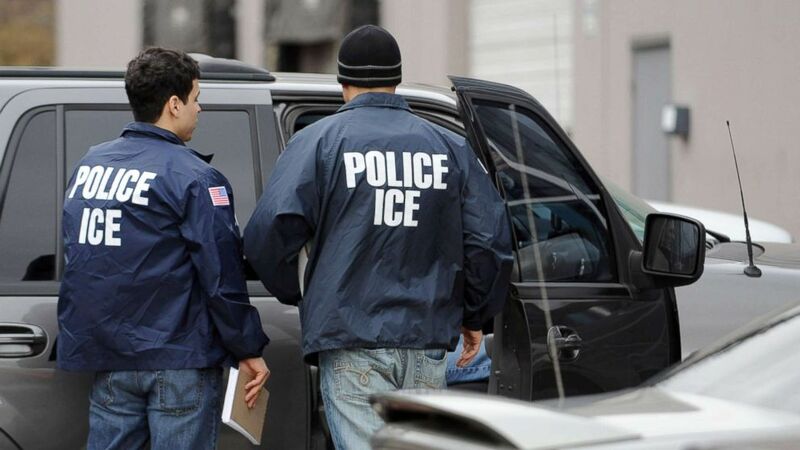 The agency added that while it focuses on individuals who pose a threat to national security or public safety, it will no longer exempt other classes of removable immigrants from potential enforcement. ABC News' Matthew Fuhrman and Frank Elaridi contributed to this report.